As reported by MarketingOops!, the sugar reduction wave has hit private label in Thailand. 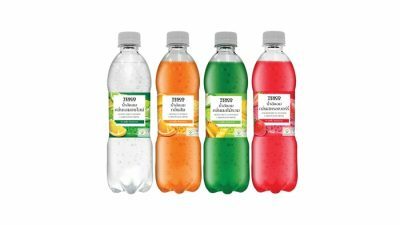 This time, Tesco Lotus, the hypermarket chain has introduced a sugar reduced carbonated soft drink range offering less than 5g of sugar per 100ml serving. The beverage even has the Healthier Choice Logo from the Ministry of Public Health of Thailand. The Healthier Choice carbonated soft drinks come in four flavours – lemon lime, strawberry, orange and mixed fruits.